I’ve long been aware that I’ve had a particular way of operating in the world that doesn’t serve me. I’m addicted to getting things done. To being productive. And it comes from being in my head, rather than from being. There are some big gains from this particular behaviour – like prodigal production. Given the limitations of my life, I have produced an extraordinary amount of output. Websites, articles, books, classes, workshops, retreats, videos. This on top of single parenting and maintaining deep friendships with a wide circle of friends and family. And a daily yoga practice. How do I really want to measure the value of my life? By how much I produce? Or by how present I am in each moment – by how much I’m actually living? These two are often conflated. We assume because there is great production (which might include many wild adventures) that a life is being live to the fullest. We assume that because not much is being produced or done that a life is being wasted. My life, particularly in the last five years, has been epically focused on production. Indeed, each year for the past three years I have chosen one over-arching goal to focus on because it helps me get more done. Two years ago, I was determined to be the best yoga teacher I could be. Last year it was being the best speaker I could be. This year, I switched gears and moved away from professional goals and to the personal. I decided 2016 was about being the best parent I could be. And this created conflict. Because parenting isn’t about producing. It’s about being. And, as I discovered, it’s not possible to be a fully present, focused parent and work the way I was working. My son would often ask me to play with him. Come on Mum, come play! Nope, I’m not that kind of parent. I don’t like playing. I was happy to take him places where he could play – the swimming pool, the skatepark, the beach, the playground. And I could practice yoga or listen to a podcast. I was happy to involve him in what I was doing – yoga, dancing, cooking, cleaning, walks on the beach. But I didn’t want to stop and play. I didn’t want to join my son in his world. I wanted to stay in my world, where I could work hard and get stuff done. You’re doing everything you can do avoid being with your child. You don’t want to spend time with him. You don’t want to play with him. How do you think that makes him feel? There was no judgement in the observation. And I knew he was right. You need to play with him. Every day. Just get down on the floor and surrender to being a part of his world, whatever that is. You’ll hate it. Your mind will go crazy. You’ll be reaching for your phone every minute. But if you stay with it. Listen to him. Be with him. Something will happen. You’ll drop in and start playing and being present. And then everything will change. Forget your yoga practice – this is what your practice needs to be right now. Ironic really. Here I am, practicing yoga everyday so I can practice being present and yet I’m also doing everything I can to avoid being present with my child. I sat down with Samuel and we had a chat about my new Forty Day Practice, which was going to be Forty Days of Playing with him. Every day, Samuel gets to ask me to come and play and I say yes. Even if I don’t want to. Even if the thought of playing makes my skin crawl at times. I have to play, daily. Which really means, I have to be present with my child. Nothing gets done when we’re playing. I’m not cooking, or cleaning, or practicing yoga, or making videos, or writing emails, or DOING anything. Last week I built an amazing Lego creation, and I loved it. See Mum, I knew you’d get into Lego if you just gave it a chance. The day before that I drew letters and shapes on my son’s back and he had to guess what I was drawing. It blew me away how accurate he was. And how such a simple spur of the moment game was so absorbing. We’ve danced, and trampolined, and frisbeed and played silly games. But even after a week or so, it’s still hard. I struggle. And I still fail epically sometimes. Yesterday, we went to the park and played frisbee for 30 minutes which was great fun. Internally though, I mentally ticked off “Playing with Child”. And so later, when we were making a fire and hanging out in the lounge and my child asked me to ‘enter his world’, I was too self-absorbed and pre-occupied to notice an opportunity to really be with him and I said no. This is ok. I’m going to get it wrong. It’s the awareness and self-reflection, and course-correction that’s important. Today, I’m more mindful of grabbing those opportunities to enter my son’s world. Getting present with my son is part of a bigger shift that’s been happening over the last eight weeks. I’ve been learning how to let go and live and how to just be with the day. I’ve barely ‘done’ anything. And the sky hasn’t fallen in. My inbox hasn’t collapsed. Traffic on the website hasn’t halted. Money keeps arriving. It’s stark evidence that much of my busy-ness isn’t needed. That there is a better way to live. I notice that the more space I allow myself, the more my natural creativity arises. And so, I’m also letting go of commitments, creating more space where I can. What happens if I do less and less and less? Yet be more and more deeply present in my life? It’s how I’m approaching teaching yoga, writing articles and parenting. I’m even doing a video blog about it. No, wait, I’m not DOING a video… I’m simply showing up and BEING, on video. There’s a difference. So how’s things? Are you busy? I’m slowing down. Valuing space. Sitting still. Being present. Being with my son. Noticing the sky and the clouds and the rain and the sun and moon. 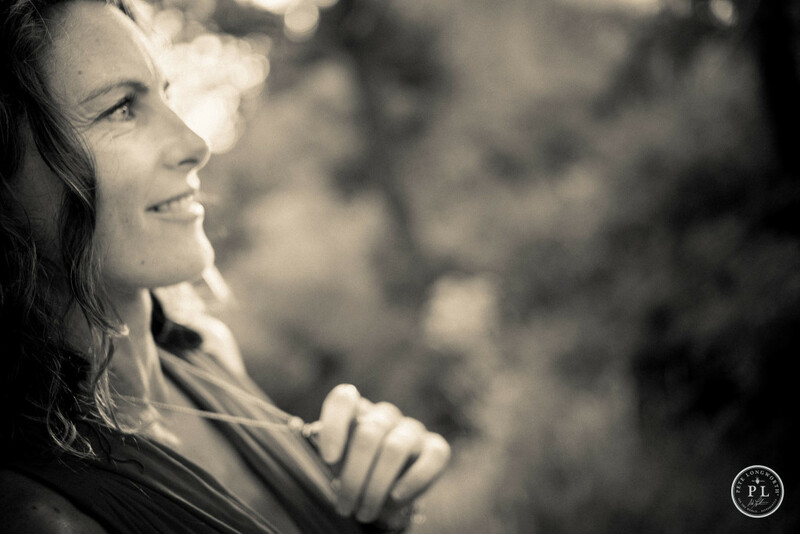 And on those days when I do have many things to do… I focus on cultivating spaciousness within each moment, moving mindfully and staying present. 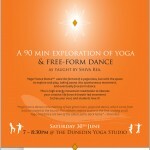 Come and experience Yoga Trance Dance with Karah-Leah Grant, June 30th at the Dunedin Yoga Studio. Yoga Trance Dance uses the format of a yoga class but with the space to explore and play, taking asana into spontaneous movement and eventually free-form dance.